Parents have a lot to say about us - they love us! As any parent can attest, finding care for their children is a daunting and nerve wracking task. You want to ensure that where they spend their time away from you is safe, inviting, fun and stimulating. Rainforest had all this and more, and I knew it from the first time I entered the building….. I entered the Centre and immediately felt confident that her surroundings would be conducive to a fun, structured, learning environment. It was inviting, the staff were pleasant and knowledgeable, the children were laughing, participating, having fun and there wasn’t this “whirlwind” feeling that you get when you often enter a place that is caring for children under the age of five. At my daughter’s first parent teacher interview at Kindergarten the first thing I was asked is where she attended care before attending school (as they knew I was a working mother). They asked because they were amazed at her knowledge of the ABC’s and 123’s, how she could spell her name, knew the days of the week, the months and her adaptability to the structure of the kindergarten environment (raising her hand before speaking, asking for permission to go to the washroom), etc. I owe this to Rainforest and would recommend the Centre to any parent looking for care for their children. The care we received from the staff at Rainforest was fantastic. The children were always greeted by the staff with warmth, caring and open arms. They helped each child adjust to their new environment when they first arrived and help them overcome obstacles over their time at the Centre…. We really appreciated the type of programming held at the Centre. Even though it was a daycare they truly went beyond and introduced new learning to the children. It was always rewarding at Rainforest, as a parent, to see our children wish to go each morning and always wanting to stay until the very end of the day with the staff. 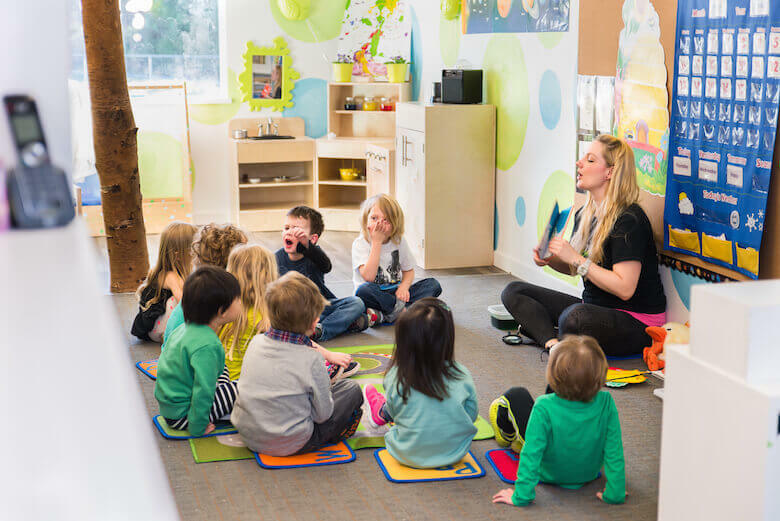 I want to congratulate you, the owner and the managers for running such an outstanding daycare and in specific I want to mention Amy, Jina, Judy and Chloe, the infant/toddlers educators in Coquitlam, for been great and caring teachers. I always felt at easy and confident when dropping off my daughter with them; both her and I will miss them. Before signing up my daughter at your daycare, I did a lot of research on daycares in Coquitlam and unfortunately, a lot of trial and error with my older daughter in other daycares in the area, and by far the Coquitlam Rainforest Learning Centre was the best choice I made for my daughter. I will recommend (and I have recommended) the Coquitlam Rainforest Learning Centre to friends and parents who are looking for a quality and caring daycare.